My first thought was that a man had just walked past us. Honestly, I turned my head in response to the powerful fragrance, only to find there was no one at all near my son and I. What I first believed to be the fragrance of men's cologne, was actually the fragrance of the new package of baby wipes with one of my son's favorite characters waving on the package that I was holding in my hands. Why? Every time these wipes were opened, we held our breath to avoid the overpowering scent of the baby wipes we were using. Kids are messy. Kids can get pretty smelly, we all do, it's natural. The scent of those baby wipes were not even close to anything natural. Had I known then, what I know now, I would have at that very moment sought out the mom entrepreneur with a business devoted to natural baby wipes. Thank you to the team from WaterPura for providing promotional items for editorial content purposes. 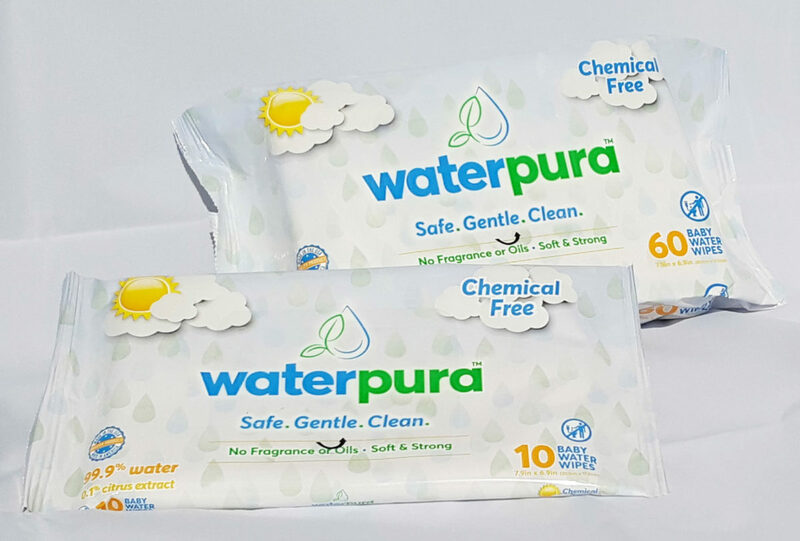 WaterPura is an innovation to the baby wipe standard, created by one caring mom in response to her own infant son's adverse reaction to the chemicals found in traditional baby wipes. 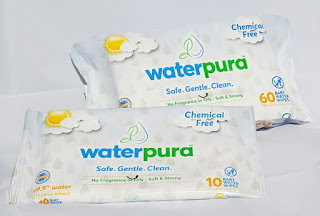 WaterPura is a mom-owned business representing a brand, trustworthy of gently caring for your little one’s skin with natural, chemical-free, fragrance-free and durable wipes. Developed by Emily Frazer, WaterPura is made with only two simple ingredients, these wipes contain 99.9% water and 0.1% citrus extract. Sensitive skin will be treated to wipes without chemicals, fragrances or oils containing possible irritants to baby’s skin and your own skin. Without sacrificing strength, these gentle wipes are soft on skin and tough enough not to rip or tear during use. Researching the chemicals commonly found in most baby wipes, my question was, "Why?". Considering the sensitivity of the skin of newborn infants, and many of us, why are there so many harsh chemicals found in products such as baby wipes? Supporting entrepreneurs of small businesses featuring natural, organic, and green living products is a small step toward making big changes. Find out more information and purchasing details at WaterPura.com today.